MyPartnerForever, a well-established Ukrainian women matchmaking agency, recently partnered with Marriage Agency Yuliya, located in Kiev, Ukraine. By combining their expertise and experienced matchmakers, they offer their clients a true opportunity to meet genuine single Ukrainian women who are seeking a life partner. MyPartnerForever, an international dating site, recently concluded a partnership with marriage agency Yuliya, located in Kiev, Ukraine. By combining their experience, they offer quality matchmaking services for men who are looking for a Ukrainian wife. MyPartnerForever, a leader in dating and matchmaking services to meet single women from Ukraine, recently concluded a partnership with marriage agency Anzhelika, located in Zaporozhe, Ukraine. 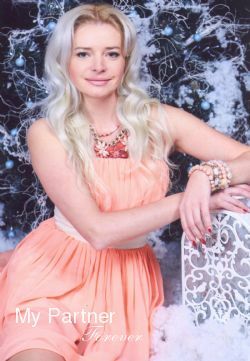 MyPartnerForever, a leader in the Ukrainian women dating and matchmaking services, recently increased its presence in Nikolaev, Ukraine by becoming partners with well-established marriage agency Anna. MyPartnerForever, a well-established international matchmaking agency, recently partnered with Marriage Agency Alena located in Riga, Latvia. Together, the two agencies offer quality services to help single men from around the world to find their Russian wife.